The University of Dayton Research Institute, 300 College Park, Dayton, OH 45469-0101, USA. 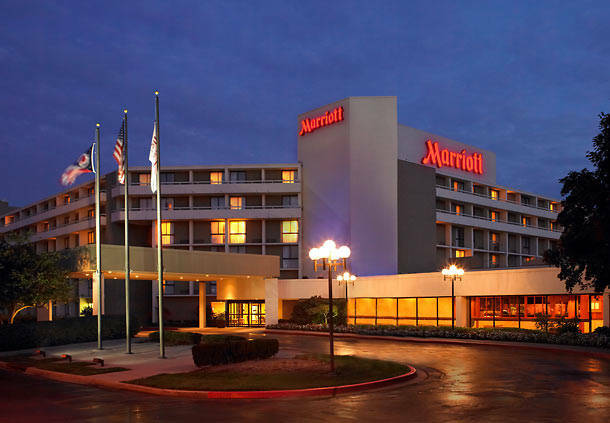 A block of rooms has been reserved for conference participants at Marriott at the University of Dayton, 1414 South Patterson Boulevard, Dayton, OH 45409, USA. Tel: +1 (937) 223-1000. Make your reservation online to get the special conference rate of $97+13.25% tax per night. The special rate applies to hotel nights between October 22-28. Be sure to reserve your room by September 22 to secure the conference rate. The technical sessions will be held on Tuesday-Thursday, October 24-26, 2017. Please plan to arrive on Sunday evening October 22 to attend the Hole-Drilling short course on Monday morning October 23. Else, please arrive on Monday morning October 23 to attend the tour of the The National Museum of the US Air Force in the afternoon and the Welcome Reception in the evening.